Much like the typical European executive running a photonics company, Ronald Broeke has a strong technical background. But aside from having know-how in photonic integrated circuits, Ronald also has a passion for programming and optimizing processes with the use of software. Ronald's love of programming started when he was 10 years old. The programming experience he has since gained has helped him succeed in improving PIC design quality and efficiency as CEO. Ronald’s journey to Bright Photonics' CEO began when he obtained his M.Sc. in Physics at Utrecht University. He then went to TU Delft and earned his PhD in 2003 in Photonics. At that time, the view of photonics as a pioneering topic was coming to an end and European interest in the field of photonics was also in decline so Ronald took off to the University of California Davis as a Research Scientist. After four years of research on optical chips and networks for Optical-CDMA, Ronald joined ASML in 2007 where he worked on Business Intelligence in the project management group. This position gave him an invaluable first-hand impression of how a relatively young and growing technology company managed its resources, data and business processes. At the end of the last decade a European funding push was initiated to help photonics mature into the commercial domain by setting-up multi-project wafer runs and introduce open access to photonics. Ronald decided that the time was right to pursue his passion for technology by founding the first fab-less design house and embarking on a decade long quest towards the open access photonic IC industry model, together with a small group of foundries, universities and institutes. By now it seems clear that in the next decade photonics will be a major economic and technological driver. 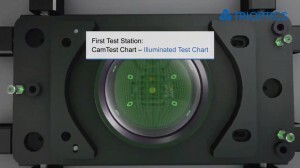 Ronald believes that Bright Photonics is a valuable player in the industry. Its technological know-how and experience in design and PIC product development enable the company to operate very effectively in the photonics ecosystem. Recently Bright developed and launched the open source design tool Nazca Design, with a focus on quality, efficiency and flexibility. 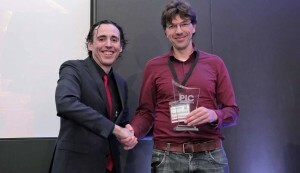 It was a great reward to see Nazca winning the PIC Hero industry award this April at PIC International in Brussels. The large support received by the design and PIC community is a warm appreciation for bringing new dynamics to photonics design by making layout easier, cheaper, and fun again. Over the next ten years, the company will continue to focus on innovation to further improve product quality and design processes, to add value for its customers by supporting the successful implementation of photonics in thousands of products, be it phones, cars, planes, space, diagnostics tool in hospitals or better, yet unknown applications. For Ronald growth is not a goal but a condition to bring photonics to the market and maintain the ability to shape its destiny. Bright wants to contribute to the value of our way of living with photonics and do new things. Photonics is much more than a business tool for short term profit in a fast growing market. It provides people a with rewarding and creative jobs. Bright initiatives like Nazca support this very same idea and engages students and professional PIC designers alike to cooperate, learn and improve. "Have a strong background in physics for understanding reality and programming (or engineering) skills to use the understanding effectively. These disciplines provide a toolbox of logical thinking and problem solving, which will be essential in dealing with matters down the road.” But more than anything else, Ronald emphasizes liking what you do and seizing the moment when you're in the right place at the right time. "If there is an opportunity, take advantage of it and don't waste time focusing too much on the risk". For Ronald, it so far payed off to seize the moment, and even if you gamble with a decision that turns out wrong, you just end up with different opportunities than anticipated. Whatever works. Written by Jose Pozo, Director of Technology and Innovation at EPIC (European Photonics Industry Consortium).